Making decisions about your website without a sound web analytics implementation is sort of like hanging pictures in your house in the dark. Web analytics data sets can tell you how visitors arrived on your website, what they did when they got there, & if they converted or not. They can also lead to deep audience segmentation & personalization of content. However, none of this can happen if your web analytics implementation is not properly optimized. 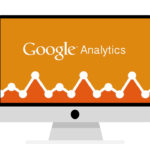 Web analytics can be added to any existing or new website, so it’s never too late. At Bluefin Strategy we work with our clients to understand their goals & tracking needs while also digging deeper to determine advanced tagging opportunities. From there we will develop an analytics tagging guide that outlines the profiles, views & tagging requirements to achieve the desired goals. Once the analytics strategy is in place Bluefin Strategy then assists clients with how to analyze the data by developing dashboards and automatic reports. Why have a web analytics partner? It is important to have an analytics partner that can help you understand your data while providing recommendations that are best for your company & website. Your web development company ‘may’ have analysts on staff, but are they guiding you to the right strategy for ‘you’ or instead to ‘their’ bottom line?